Opportunities OnlineExport oppurtunities around the world. Visit our Trade With Australia Forums. Sign up and post your sell or buy leads and start trading with the world. 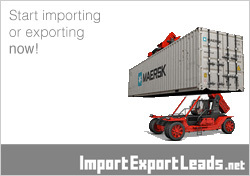 Import Conditions Database - ICONICON is AQIS's import conditions database. It is a simple and convenient way to access information about Australian import conditions for more than 18,000 foreign plant, animal, mineral and human commodities. It can be used to determine if a commodity intended for import to Australia needs a quarantine permit and/or treatment or if there are any other quarantine prerequisites. Export HubThe Export Hub brings together the expertise and services of AusIndustry and Austrade’s TradeStart programs and is a convenient one-stop shop designed to assist Australian businesses gain information, advice and support to help them to become innovative and internationally competitive. EXDOC (Export Documentation)EXDOC provides the ability to generate Export Documentation from exporters, and where product is eligible, issues export permits, health certificates, certificates as to condition and phytosanitary certificates to enable export. Excise duty is a tax levied on alcohol, tobacco and petroleum products manufactured in Australia.